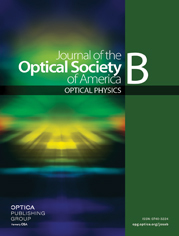 A wide, short unstable cavity laser design is proposed for high-power, single-longitudinal, single-transverse-mode emission from a solid-state laser. Such a laser combines the single-mode master oscillator and the single-mode amplifier in a single piece. Design formulas are suggested; the efficiency and conditions of the single-longitudinal-mode operation are analyzed. Examples with Nd:YAG and Yb:YAG are considered. For a device of a few millimeters wide, the slope efficiency of ≈50% and the threshold of a few watts are predicted.